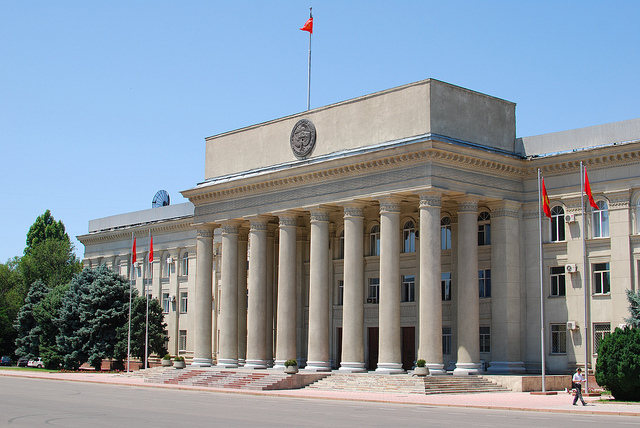 The parliament of Kyrgyzstan voted today for an anti-gay “propaganda” bill modeled on Russia’s 2013 “gay propaganda” law. The proposal, which still needs two votes in parliament and a presidential signature before becoming law, would outlaw all LGBT groups operating in the former Soviet country, as well as allowing possible prison sentences for individuals guilty of promoting “non-traditional” sexual relations. Critics of the bill have noted that the punishments for breaching the new laws are even harsher than current punishments being seen under Russia’s anti-“gay propaganda” law. As a country, Kyrgyzstan has a largely conservative Islamic community, with around 80 percent of the population identifying as Muslim. The government of the country has maintained close ties to Russia after the collapse of the Soviet Union. I'm just a soul whose intentions are good; Lord, please don't let me be misunderstood. Posted on October 15, 2014, in Rainbow. Bookmark the permalink. Leave a comment.